To promote the new album and single, she’s embarked on a whirlwind tour – 12 shows in 11 cities in 11 weeks straight. Sjoe! Talk about endurance. We chat to her about her journey. 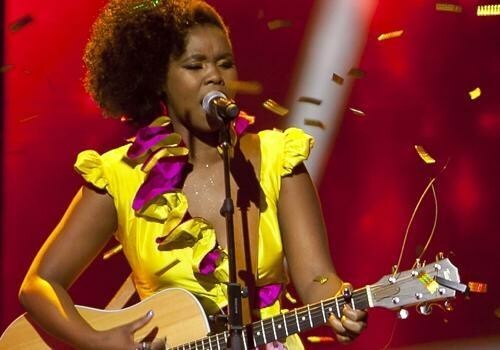 Multiple award-winning songbird Zahara released her second album Phendula after the success of Loliwe two years ago. And if’s half as good as Loliwe was, she’ll be onto another winner. To promote the new album and single, she’s embarked on a whirlwind tour – 12 shows in 11 cities in 11 weeks straight. Sjoe! Talk about endurance. We chat to her about her journey. Tell us about the inspiration behind the new album? Life experiences and also the travel experiences I've had while performing music from my last album Loliwe. Is there anything new to your sound or do you have any featured artists or collaborations? I'd like to think I've grown a bit musically. This time round I also have more collaborations. I feature Grammy Award-winning group Ladysmith Black Mambazo, 2Face Idibia of Nigeria, the Idols twins Anele and Neliswa Mxakaza and Tresor of Congo. How have you grown since you first came into the industry? I understand the concept of responsibilty for your actions more and also about owning your craft. What have been some of your highlights so far? Performing for Tata Madiba, being an ambassodor for his Childrens’ Hospital and of course the 19 awards I won with my last album! What’s been some of the negatives you’ve encountered? My worst was how my family was fooled into thinking I was being ill-treated by my record company by a magazine in order for them to write lies about me. (She refers to a story about how she wasn’t getting paid by TS Records and was treated as a maid by the owner TK Nciza). Is there any possibility of international exposure or performances? Unfortunately not but I'm hoping that I'll be able to have everyone I featured on my album on the DVD which I’ll be shooting later on. If there was one person you’d love to work with on a song, who would it be?